Zojirushi, a manufacturer of kitchen appliances since 1918, is headquartered in Osaka, Japan. Consumers have come to expect great products from them and they certainly do not disappoint with their line of rice cookers. The Zojirushi NP-HCC10XH Induction Heating System Rice Cooker and Warmer, 1 L, Stainless Dark Gray, an induction rice cooker and warmer, stands out as one of the best as it produces the highest quality rice with minimum effort. Find out if it’s the right model for you! The Zojirushi Induction Heating System Rice Cooker and Warmer offers many top-of-the-line features without going overboard on price or add-ons. It not only cooks the rice, but also keeps it warm. This rice cooker is great for a small family as it has a capacity of 1 liter, which is equal to 5 1/2 cups of uncooked rice. A larger unit, the Zojirushi NP-HCC18XH Induction Heating System Rice Cooker and Warmer, 1.8 L, Stainless Dark Gray, which holds 10 cups of uncooked rice is also available. *The product complies with the safety standards for the United States and Canada. A third party which is an ETL certified agency provided quality and safety approval for this product. **The product has been tested to comply with FCC standards and it has been approved. This product is for someone who enjoys making different kinds of rice and wants to be able to keep that rice warm for more than just a few hours without any serious loss of quality. If you notice when the rice is too wet, too dry, or burnt, you will appreciate this rice cooker. On the other hand, this Zojirushi model may not be cost effective for a family who simply wants a quick rice meal once or twice a month as it is in the mid-to-high in the price range depending upon your budget. Overall, this appliance is great for those who regularly eat rice, can taste differences in rice quality, and want to keep their rice warm during the day. The Zojirushi NP-HCC10XH includes everything you need except for rice and water right out of the box! The measuring cup included should be used to measure the rice to be cooked. A useful plastic rice spatula is also included with a spatula holder. Finally, there is a user manual which includes instructions in English, Japanese, Korean, French, Traditional Chinese, and Vietnamese. The induction heating, Micom technologies and the triple heater work together to produce exceptional rice in this Zojirushi Rice Cooker and Warmer. Induction heating is a method for heating electrically-conductive materials such as metals. Its many advantages include fast heating, efficiency, safety and accurate control. It is used in many products including kitchen appliances. 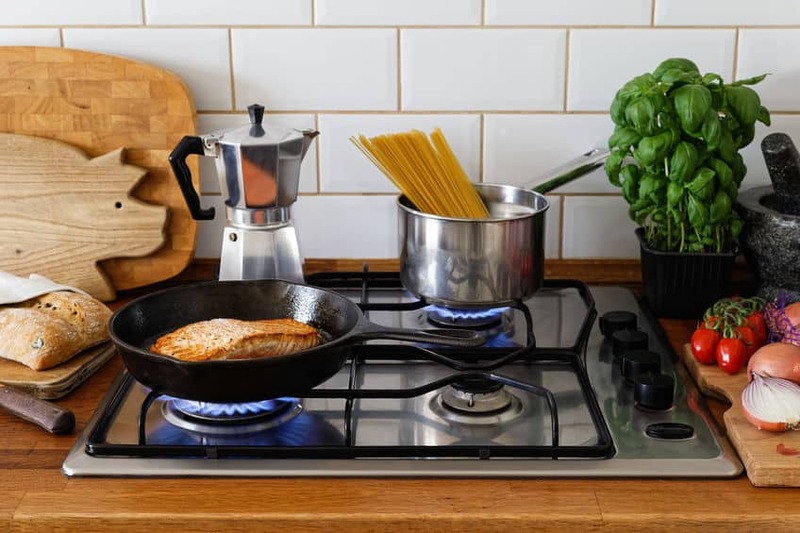 The Zojirushi NP-HCC10XH uses this technology to heat the entire inner cooking pan. This makes it possible to make very small temperature adjustments that will lead to a better final result. The NP-HCC10XH has a microcomputer (MICOM) that automatically adjusts the cooking temperature and time depending on factors such as the amount and type of rice being cooked. You can even make porridge using the computerized, pre-programmed buttons. A convenient feature of this rice cooker is the keep warm function. In 1974, Zojirushi became the first company to introduce a keep warm function on rice cookers. This feature allows the rice to be kept fresh and warm at a safe temperature without getting overcooked. There are two keep warm settings on this model. The first one is known as “regular keep warm”. Once the rice is cooked, the unit will automatically switch to the Keep Warm setting. The second setting is the "extended keep warm". This can be used if your cooker is turned off and you would like to keep your rice warm. It can also be activated during the Regular Keep Warm mode. Each setting has a light that turns on when the function is activated. If you are looking for a rice cooker that uses pressure or that can reheat rice for you, this is not the right choice. It also does not have any pre-programmed settings for slow cooking or baking, which can be found in some non-induction models by Zojirushi. The timer function allows you to set the time that you want to serve the rice. You don’t have to calculate anything. 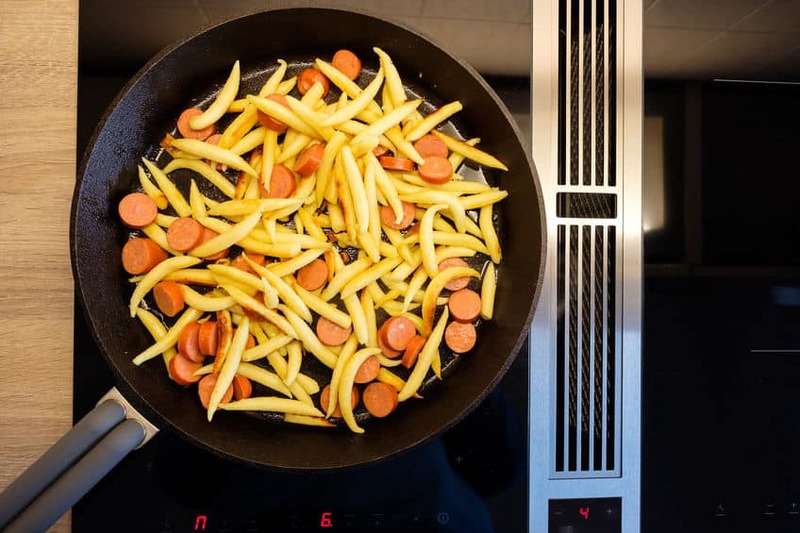 If you want to eat at 7:00 pm, set it for 19:00 hours and it will be ready (clock is in military time). This function cannot be used in the Quick, Mixed and Sweet menu settings. The Zojirushi NP-HCC10XH has a modern and sleek design. The exterior is clear coated stainless steel and dark gray in color. The inside pot is made from thick black metal and can be removed for easy cleaning. 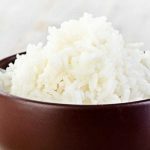 Cooking with a rice cooker is super simple – once you know how to use it. The first thing to do when you get your rice cooker is to read the manual. 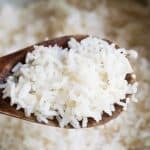 The instructions are straightforward and you can find tips on how to make rice just how you like it. Then, it is just a matter of measuring the rice and water, placing it in the inner pot, closing the lid and selecting the settings. A delay timer can be used if you would like to have the rice ready at a certain time. The video below doesn’t cover the exact model, but many Zojirushi models share similar control features, so you can get an idea of how to use the NP-HCC10XH. The Zojirushi NP-HCC10XH Induction Heating System Rice Cooker and Warmer, 1 L, Stainless Dark Gray is a high-quality product. It has the latest in heating technology and programming capabilities. Additionally, this is a well-designed unit. 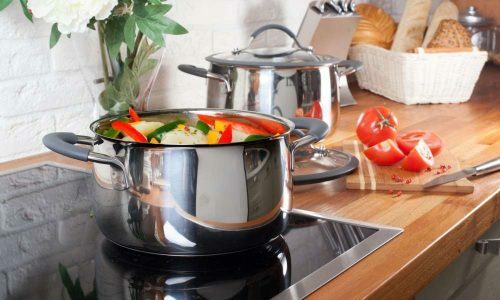 The clear coated stainless-steel exterior and removable pot and lid makes cleaning your rice cooker easy. It has a neutral color and does not take up a lot of counter space. The MICROM allows one to prepare many different kinds of rice as well as porridge. The convenience of the keep warm and timer features should not be underestimated. 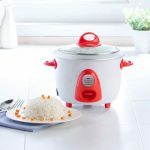 No matter what type of rice cooker you decide to use in your home, you can be sure that the ease of cooking rice by just measuring and clicking a button will make you want to try even more rice-based meals. 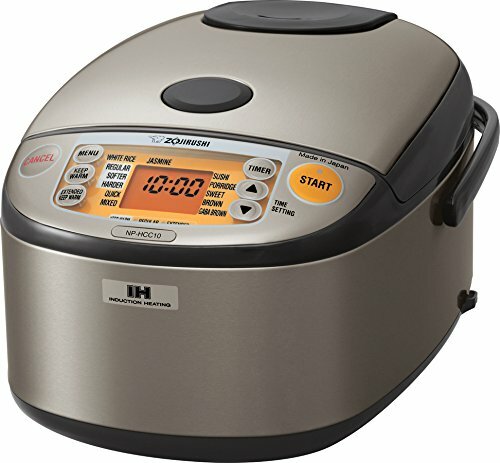 If you prefer something less expensive and don’t mind having less temperature control, a fuzzy logic model such as the Zojirushi NS-WAC10-WD 5.5-Cup (Uncooked) Micom Rice Cooker and Warmer is easy to use and offers these settings: white/mixed, sushi, porridge, sweet, brown, rinse-free and quick cooking.